A recent report based on information coming from a Staples executive has had the internet abuzz with rumors about there being as many as six Kindle Fire tablets on the way any time now. Demos Parneros, president of US Retail for Staples Inc, indicated that they have six SKUs ready for the upcoming release. Naturally Amazon has declined to comment on any of these rumors, but the chances of there actually being six new tablets on the way are incredibly low. This is not to say there will be nothing new. Chances are very good that both a 7” Kindle Fire and a larger 10” Kindle Fire will be released at the same time. We also have information from previous such stories that tells us the existing Kindle Fire will be re-released at a lower price with a slightly improved screen to help Amazon once again corner the Android tablet market. It’s reasonable to expect that will be as far as the expansion of the line goes, however. New SKUs do not mean entirely distinct new products. If we assume that at least one of the tablets will have 4G connectivity available as an option, that option would be its own distinct SKU. The same would be true for each variation in storage space. 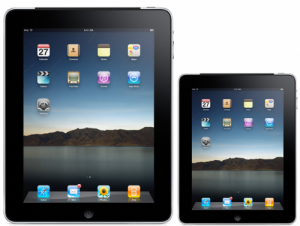 An 8GB Kindle Fire and a 16GB Kindle Fire would be separated even if they were otherwise identical. Six SKUs could be as simple as Amazon offering either extra storage space or optional 4G connectivity for each of the three models we are expecting. Alternatively, we may still see only 7” releases at this time and find a “Kindle Fire Original” along with Kindle Fire 2 models featuring varying combinations of storage space and such. It isn’t hard to come up with minor variations that account for the Staples information. 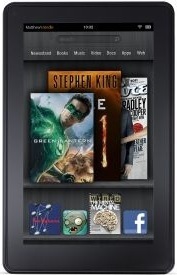 All of the speculation about there being completely unexpected products, such as a Kindle Phone, is jumping the gun. That sort of thing may happen, and some people consider it to be almost inevitable, but it will not be coming in the next could weeks. After all, what sense would it make for Amazon to release so many options that no particular Kindle Fire successor was able to capture public interest? This is clearly a company that knows better than to do something that reckless, however sure they may be of their position in the market right this minute. Supposed upstream supply sources have released information that may pertain to the upcoming announcement of the Kindle Fire 2. This info, coming through NPD DisplaySearch Analyst Richard Shim, indicates slightly different production emphases than the recent BGR article talked about, but is otherwise mostly consistent. While this must be taken with a great deal of caution, upstream supply chain sources being notoriously unreliable and often interpreted poorly, the implications are worth exploring. Of these, according to Shim, the two basic 7” models are scheduled to begin production in August while the 7” Kindle Fire 2 w/ 4G Internet Access will have to wait until September. The larger model will not be available until it’s time for holiday sales. Along with this information, we get notice of an upgrade to the pixel density of the Kindle Fire 2’s screen. 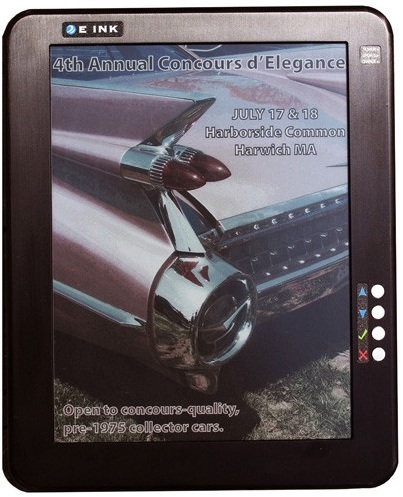 Like the Nexus 7 from Google, it will now be a 216 PPI display. 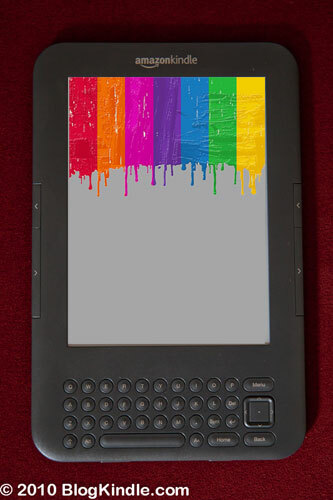 For context, the existing Kindle Fire has a 1024 x 600 display with 170 pixels per inch. There are two vital pieces of information to take from this, as well as one fairly interesting point that may be useful later this year. First, while there will still be a lower resolution Kindle Fire model made available for under $199, this information would indicate that there have been hardware changes. The most inexpensive Kindle Fire model available after the new hardware is announced will not simply be backstocked units of Amazon’s current tablet. Second, the Kindle Fire 2 will likely be able to beat Google’s Nexus 7 to 4G connectivity. If Amazon can pull that off, it will be a huge boost to their reputation in the tablet market and would lead to increased sales. We are certainly not looking at the potential for unlimited free cellular transfer as in the Kindle eReader line, due to the volume of data involved in media streaming and app downloads, but just having the option available will open doors. This report also points to the larger Kindle Fire 2 being an 8.9” device rather than the 10.1” device that many have been hoping for. Since we are looking at slightly more distant production there will be more room for variation and this is in direct conflict with other equally “reliable” sources. Nonetheless, going with a slightly smaller size might be a productive choice if Amazon is looking to both keep the costs down on their own device and avoid too many direct comparisons with the industry-leading 9.7” iPad. Clearer size differences mean fewer side by side comparisons. 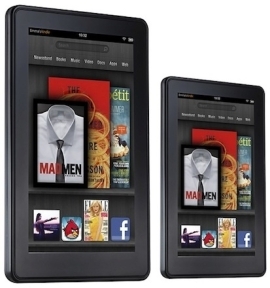 Either way, keep an eye out for highly discounted Kindle Fire offers. If we’re moving into a new generation of devices, Amazon’s likely to have “refurbished” units on sale. Kindle Store Coming To Seattle? Sources have recently reported that Amazon may be about to open up a whole new direction for their Kindle marketing. Before the end of this year we can expect to be seeing the first small store or stores arriving in Seattle. This seems to be intended as a preliminary effort directed at determining the viability of such outlets as a real money maker, but there is some reason to think that this could be a big factor in the future of both the Kindle and Amazon’s new publishing imprints. With Barnes & Noble’s recent decision to effectively ban all of Amazon’s new efforts in the field of publishing, the company is going to be needing new ways to showcase their products. These boutique style stores would offer them the chance to make up for the lack, especially as it seems likely that their intention is to increase their involvement in publication rather than let it fall away under external pressures. While it seems less likely, given that focus will probably be at least somewhat important, there is even the chance that this will be Amazon’s biggest move so far to show off their product lines in various other areas aside from books and eReaders. Their AmazonBasics consumer electronics line has at least some connection to things like the Kindle Fire, even if their Strathwood furniture wouldn’t fit so well. Hard to imagine that even a small store could be properly stocked using nothing but three Kindle eReaders, the Kindle Fire, some accessories, and whatever books they are able to get published before the end of the year. Interestingly, this is not the first time that Amazon has been rumored to be working on building themselves a physical presence. Unlike previous instances, though, the details do seem to add up here. In addition to the fact that the proposed pilot store would be in Seattle, home of Amazon and a state where sales taxes are already being collected by the company, the initial report indicates that they have already contracted store design through a shell company. It will be small rather than something intended to compete head to head in every area at once with other retail giants like Walmart, which also makes a good deal of sense for a company that derives a great deal of benefit from being highly distinct from such stores while still offering amazing savings. Most importantly, unlike the 2009 rumors Amazon has not jumped in to quash this one before it takes hold. While there are downsides to building a Brick & Mortar presence for the Kindle line, especially given the numerous partnerships that Amazon maintains with the likes of Best Buy and Target to keep their hardware available on the local level, being able to highlight something with as much investment behind it as the Kindle Fire and its anticipated successor might well be worth the risks. Hopefully over the next few months we will learn more about how Amazon intends to show off the Kindle to their advantage.